It’s been a busy few weeks here at Alexander Boyd Displays, but we thought it would be a good time to pause and update you on all the goings on in the office. We won’t bore you with all the details but just give you a little taster of things to come. We’ve had the pleasure of working on some interesting projects recently, two of our favourites has to be the Papermill project and the Ford project. 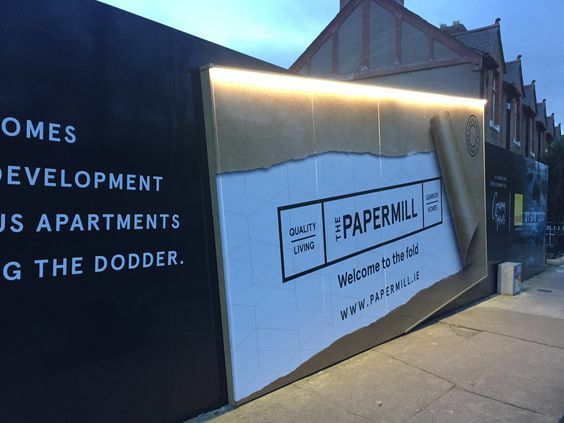 For the Papermill we worked alongside the brilliant Design Factory to print and install the hoarding panels at the new Gannon Homes Papermill Development in Clonskeagh, Dublin. There will be a blog post coming up so stay tuned for that! The second project we want to show case is the recent project for Ford alongside the fantastic advertising agency Ogilvy & Mather. 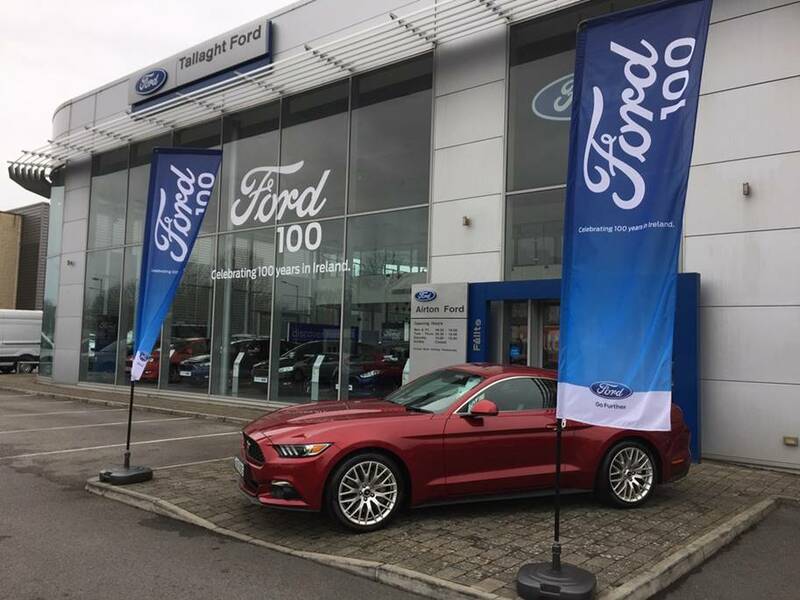 Ford are celebrating 100 years in Ireland and we had the pleasure of branding all their showrooms nationwide with a selection of products. For the exterior Showroom windows, there was cut vinyl white lettering at both 4.8m x 3m & 2m x 1.25m, exterior and interior flags, interior toblerones and pull up stands, interior strut cards and of course, let’s not for the interior self-cling decals for the car windscreens! Things won’t be slowing down, we have some more exciting projects on the way and you’ll be finding out all about them on our blog and social media accounts. In fact, you’ll be seeing a lot more of us in general and we’d love it if you could share projects with us. After all, we love all things design! There is some exciting news coming your way on the Belfast Photography Festival, want to make sure you are in the loop? Then head over to our website and subscribe to our newsletter, don’t worry we only send the interesting stuff.